Golf is an incredibly addictive sport as anyone who has gotten into it will tell you. It’s the way you can gradually keep improving yourself, the way it’s so competitive and the way that anyone can play it at any age without ending up dripping with sweat and struggling for breath and all this means that once you start, it’s very hard to ever stop. However the downside of golf is that it’s not really the sort of thing you can just start doing wherever you are. It kind of requires at least a certain amount of space as you are swinging around a huge metal club, and as you are firing a rock hard ball at hundreds of miles an hour. But that doesn’t mean that you can’t play golf when you don’t have lots of space, and actually there are still many ways you can experience playing golf indoors thanks to the wonders of modern technology and some creative thinking. Here we will look at those. Indoor driving ranges sometimes are literally huge expanses of indoor land to let you fire off shots even when it’s raining. However it’s the virtual versions that are truly clever – allowing you to drive your ball into a screen that will then calculate the velocity and angle of your shot in order to show you where it would have landed roughly. It’s great for practicing your technique and means that you can play across any course in the world without having to set foot outside. These are highly popular executive toys found in many offices that basically allow you to practice putting on an indoor patch of grass. It’s a great little way to practice and to pass the time, and some of the more high tech options can do other impressive things like returning the ball for you. While it falls rather short of playing real golf, practicing on your iPhone or Android can be surprisingly satisfying thanks to the touch screen controls and some very innovative games. One of the best options is Gameloft’s ‘Let’s Golf’ but there are few other fun ones to try as well. There are many great golf games to play on your home games console or PC of choice, and these include the mighty Tiger Woods golf that has addicted millions of players around the globe. Surely the most authentic golfing experience however comes from playing with the Wii-mote on the Nintendo Wii and there are many great golf games that you can play right out of the box. Even better than that though is Wii Sports Resort which requires the Wii Motion Plus add on to provide you with even more finely tuned motion control that lets you really use the Wii-mote just like a golf club for some very realistic golf playing. If you can’t afford any of these fancy golf alternatives then you can also just try playing in your mind’s eye. This might not sound particularly fun or useful, but actually it may surprise you to learn that simply visualizing playing golf can be enough to make many of the nerves fire in your brain and body as though you were actually playing it – in other words it can help you to improve your technique even without picking up a club. The article is written by Paul Simpson who is an avid tech blogger and author of numerous tech posts on guest blogging sites. He buys golfing equipment online at Golfbox, the best online shopping sites for golfbox products. If perhaps you are located in chilly locations, golf simulators offer the possiblity to play and exercise year round. This creates the feel of imagining that you are on a golf course rather than just enjoying in the home. 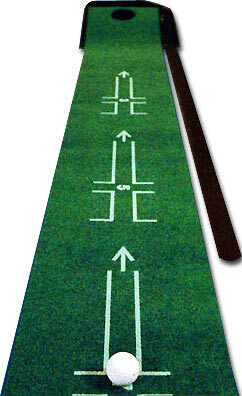 You can aquire your personal golf simulator from sportsentertainmentspecialists.com. 3D Visualization: What It Is and What Its Benefits Are?